Russian River Salmon & Steelhead Monitoring Program biologists visit more than 40 streams where they monitor salmon and steelhead populations. 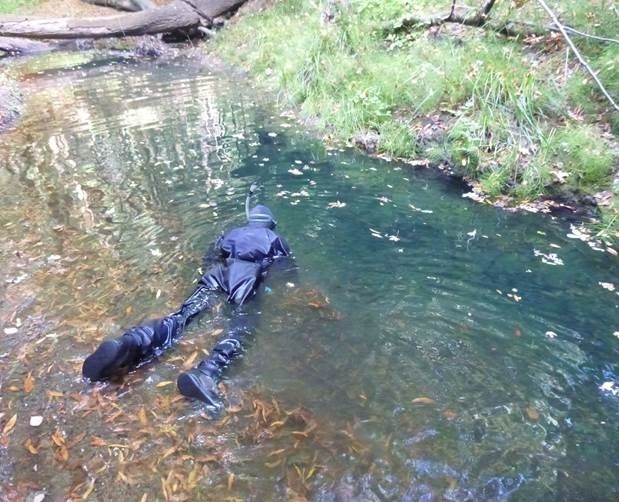 These biologists spend a lot of time in the water looking for fish. Here's how much territory they covered in 2015. 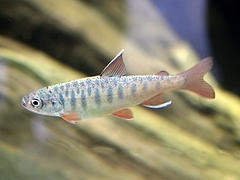 Juvenile coho salmon observed during summer snorkel survey. Total stream length covered by crews the entire season: 192.6 miles; the equivalent of walking from Santa Rosa to Lake Tahoe. Total stream length hiked by crews the entire season: 630 miles; the equivalent of walking from Santa Rosa to Portland, OR. Length of stream surveyed- 93.8 miles; the equivalent of a round trip to Santa Rosa to San Francisco. 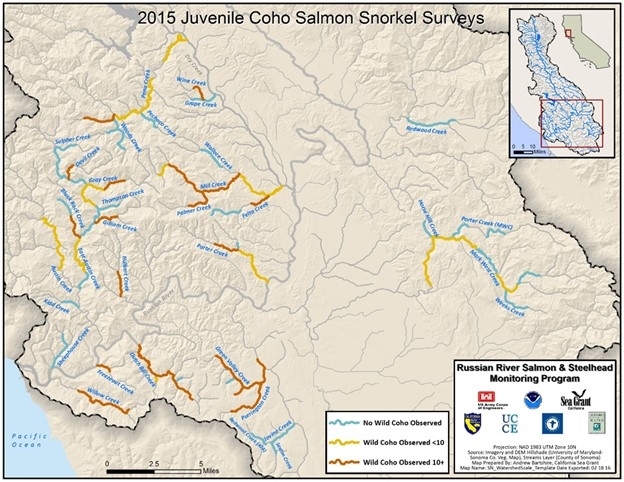 Total stream length hiked by crews for all surveys in 2015: 916.4 miles which is the equivalent of walking from Santa Rosa, CA to Albuquerque, NM. 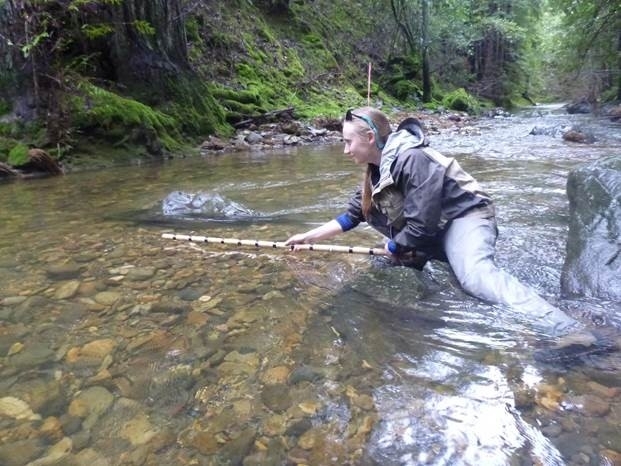 UC biologist counting juvenile salmon and steelhead in summer pool habitat. Karen Giovannini: Thank you Betty!